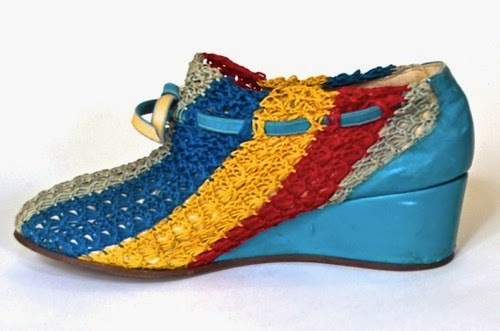 Instead of beach sandals, Perugia suggests this crocheted string boot in sand-and-sea coloring, with wedge heel. 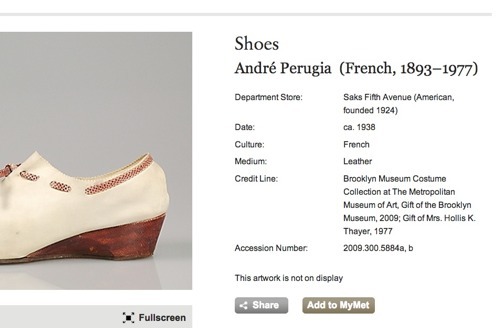 E quindi, grazie all'articolo australiano ed alla pubblicità su Vogue si riesce a correggere la datazione del Metropolitan Museum of Art: da "ca. 1938" a 1940. 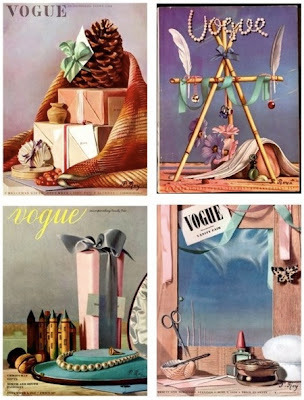 So, thanks to the Australian article and the Vogue ad, we can now amend the date of the Metropolitan Museum of Art from "ca.1938" to 1940. 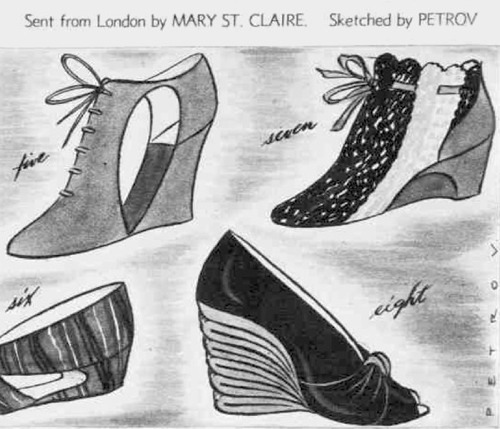 Pierre Roy (1880-1950) é stato un pittore, illustratore e designer francese. 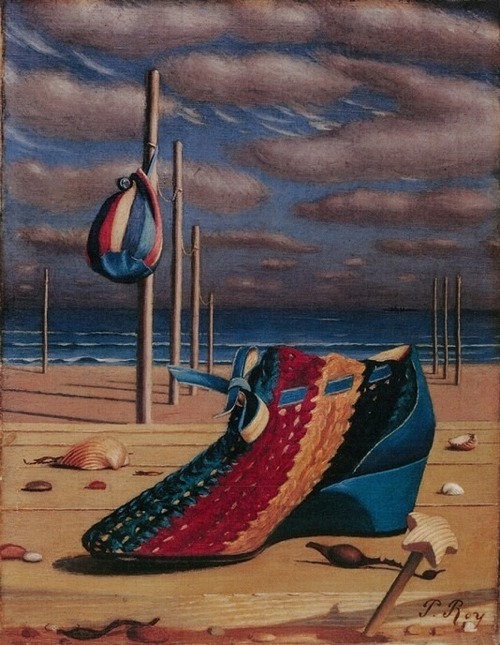 Nel 1925 le sue opere sono state incluse nella prima mostra collettiva dei Surrealisti alla Galerie Pierre di Parigi. Ha disegnato diverse copertine per la rivista Vogue e scenografie per il balletto ed il teatro. Ed é stato a teatro dove ha incontrato André Perugia le cui calzature erano utilizzate in numerose produzioni. Pierre Roy é morto nel 1950 a Milano mentre visitava la città. Pierre Roy (1880-1950) was a French painter, illustrator and designer. 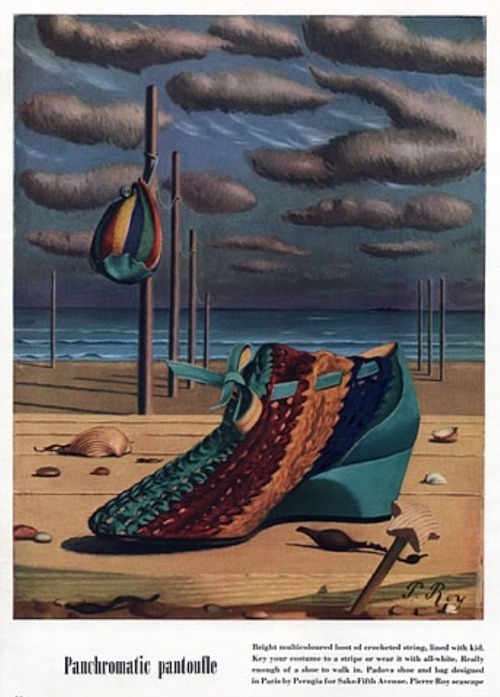 His work was included in the first group exhibition of Surrealist paintings at the Galerie Pierre, Paris in 1925. He created several covers for Vogue magazine and designed sets for the ballet and the theatre. 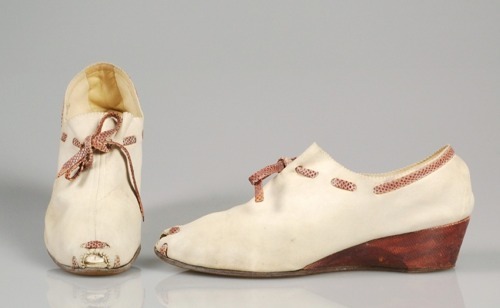 And the theatre was the place where he met André Perugia whose shoes were used in many productions. Pierre Roy died in Milan in 1950 while visiting.